Get a quick take on the status of sports betting and online sportsbooks in The First State. 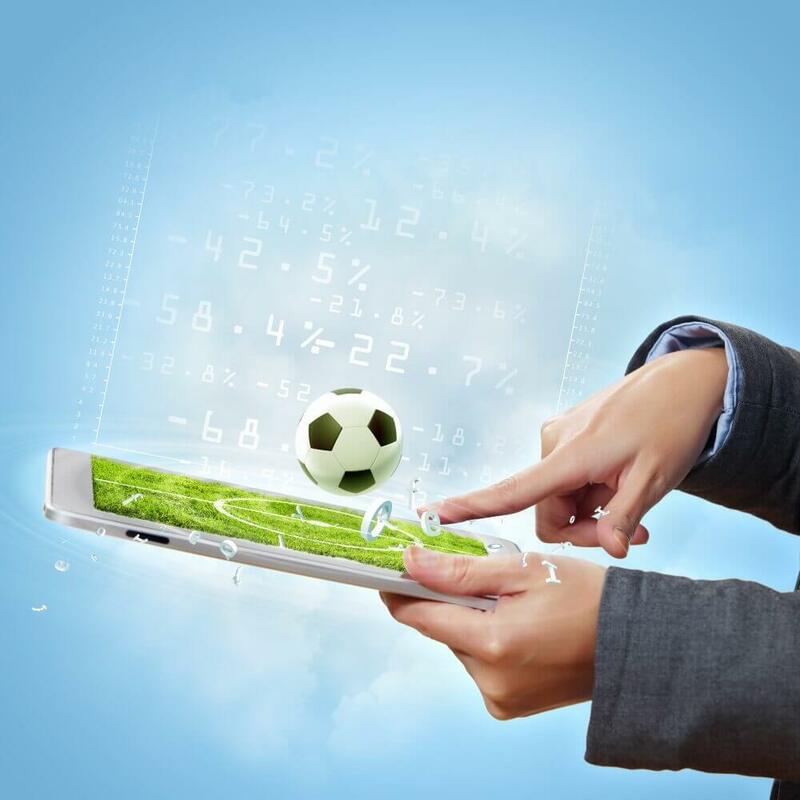 If you’re in Delaware and looking to dip your toes into the world of online sports betting, then you’ll be excited about future prospects for Delaware sportsbook apps. Delaware’s sports betting laws are shifting and changing, and that means new and exciting game types, engaging smartphone apps, and more! We’re going to give you the rundown on what will likely happen as sports betting laws become more relaxed in Delaware, and point you towards trusted tracks and downs that will likely be among the first to offer online sportsbook apps in Delaware’s future. If you’re looking to bet on sports legally in Delaware, a couple of things you should note: you need to be 21+ and located within the state of Delaware to legally wager on any sports. Get on the sportsbooks we mention and this process will be streamlined, secure, and easy! The Professional and Amateur Sports Protection Act (PASPA) made it pretty difficult for most major US-based sportsbooks to operate. However, Delaware was one of five states that made the cut to operate within the legal terms of “sports betting” set by the US federal government. Delaware sports betting apps are to be controlled by the Delaware Lottery to ensure that everything is safe and legal. When the PASPA law was overturned in 2018, many states including Delaware jumped on the chance to more easily operate legal sports betting in the US. We’re going to tell you what you need to know about Delaware locations offering on-site sports betting and online casino apps. These operators will most likely be contenders in the online sports betting market in Delaware. Keep in mind, we’re anticipating that these trusted Delaware locations are going to jump on the chance to get into the world of real-money, online sports betting. Dover Downs, for example, is already offering real-money betting for harness racing, so we fully expect them to stretch their legs into the full online sports betting market, including thoroughbred racing, NASCAR, NFL, and more. For now, let’s give a brief overview of a few operators that we anticipate will start offering a more robust menu for online sports betting in Delaware. Their quick shift to the online world might lead to them offering the best sportbook apps in Delaware. Delaware Park is one of the most trusted racetracks in Delaware. It is definitely going to be one of the brands that is going to offer the best sportsbook apps in Delaware. It’s a great place to visit with friends, have a drink or two, and maybe throw some money down on a horse. There’s an old song that goes “why he gave a horse my money is something I don’t know” — apparently the singer had never been to Delaware Park because there are very good reasons to give horses money at the track– you might just get that money back and then some! Winning is never guaranteed, but a good time is almost a certainty. In the future, we expect this experienced and well-respected Delaware racetrack will offer an online version of their physical track. Trying to keep competitive, we also expect Delaware Park to offer a whole variety of sports to bet on, from NASCAR to the NBA. We wouldn’t be reviewing Delaware Park Racetrack’s online sportsbook unless we were certain that it performed well in the online, real-money gaming outlet, and the Delaware Park online casino is a great litmus test. The app and the online version are well-designed and easy to operate, with bonuses and promotions to boot, so we’re looking forward to what Delaware Park comes up with for its Delaware online sportsbook. Check back for deposit bonuses and more promotions on this exciting Delaware online sportsbook! Dover Downs has been a trusted location in Delaware for quite some time. If you’re looking for an online sportsbook in Delaware in the coming months, you can expect Dover Downs to be producing something essential to Delaware gamblers looking to get an extra edge in real-money, legal online gaming. Dover Downs already offers live harness racing in addition to a fully-fledged, high-stakes casino in Delaware, so we’ll be looking for them to jump on the market for online sports betting in Delaware. Dover Downs currently offers a decent online casino app (only on the App Store at the moment — Android users can download the app from the Dover Downs Online Casino website), so like Delaware Park, we trust that their sportsbook app will be informed with the same experience. Dover Downs Online Casino also hosts a smorgasbord of worthwhile promotions and bonuses, so look out for those when the Dover Downs online sportsbook debuts in Delaware. We’re hoping that the Capital Rewards program will also extend to Dover Downs’ online sportsbook, but it’s too early to tell. Check back here for the latest up-to-date information regarding Delaware Sportsbook apps. The only thing that we can now say is that this brand is also likely to offer one of the best sporstbook apps in Delaware. Harrington Raceway in Delaware is another great gaming destination in Delaware which recently started offering online casino games. We’d like to see a bit more complexity and better graphics from this Delaware online casino, but when they release their Delaware online sportsbook, we expect Harrington Raceway to tighten up their games a bit. Apparently, the Harrington Raceway suffers from quite a few network errors as well, so overall, we’re hoping for a more improved version of their app when they release their Delaware online sportsbook. However, the Harrington Raceway offers both online casino and online poker for real money, and their deposit bonuses are relatively sizeable. Don’t judge a book by its cover just yet– this Delaware online sportsbook might be a surprise upset in the sports betting market. With trusted customer service and a decently-maintained website, we’re hoping that Harrington Raceway gets the support of a more robust design team when releasing its anticipated online sportsbook in Delaware. Judging from the current situation, it is almost certain that one of these brands will offer the best sportsbook apps in Delaware. If you are looking to learn how to bet on sports on mobile, you are in the right place. Betting on sports in Delaware, like other states, is a pretty straightforward process. Delaware Sportsbook apps will have geotagging software (you’ll notice the website ask for your location) in order to verify that you’re playing in the state of Delaware only. Also, when you sign up for an account with Delaware sportsbook apps, you’ll need to put in the last four digits of your social security number. Sounds risky, but it isn’t — all Delaware sportsbook apps are monitored by the Delaware Lottery, not some strange third-party. For legal reasons, Google Play doesn’t usually allow you to download Delware Sportsbook Apps. Therefore, Delaware sportsbooks often offer the APK file for you to download straight to your Android device. Look for a “Download For Android” icon on your favorite Delaware online Sportsbook and tap that from your mobile device to continue. If you haven’t downloaded any third party apps to your Android device before, you might be spooked by the idea of “allowing installations from unknown sources”, which the Android operating system will prompt you on when you try to install Delaware sportsbook apps. Don’t worry– every state offering sportsbook apps so far has made sure their apps are secure and trustworthy, and this is a simple quirk of the Android operating system– don’t worry about downloading and installing these apps. They’re safe. For Apple users, the process is a bit easier– you can simply search for your favorite Delaware online sportsbook app on the App Store, as there are no legal restrictions set in place by Apple for allowing real-money gaming apps. We hope that Google Play gets with the program, but for now Apple users have it easier when it comes to installing Delaware sportsbook apps. As you can tell, answer to the question how to bet on sports on mobile is quite simple. Anyone can download the app to their phone and start having fun on the go. Win bets are the simplest of all– just bet on the one horse you hope will win. Simple doesn’t mean easy, however– make an informed choice! Place bets are relatively simple when you’re using a Delaware Sportsbook App– you’re trying to guess the first and second place winners in a race in any order. Trifecta bets involve choosing the top three horses to place in a race in the correct order. It’s a tricky bet to execute, but the payouts are higher than a Win or Place bet. When you’re using a Delaware Sportsbook App to bet on horse racing, there are a multitude of options available for your bet preferences. It’s more complicated than simply picking a horse at random, so do your research before you put your money on a horse. Most of the existing horse betting apps in other states do a pretty good job of listing your odds and explaining bets to you, and we don’t expect Delaware to stray from that track. Dover Downs offers phone support and email support to their loyal customers playing their Delaware sportsbook apps. No live chat support as of yet, but we expect this to change as the online sportsbook market grows in Delaware. Currently, Dover Downs Online accepts Visa, Mastercard, Neteller, and ACH Bank Transfers. There are withdrawal requirements to meet (most Delaware Sportsbook apps are this way) before you can withdraw winnings. The Delaware Park sportsbook will use all of the same infrastructure as the existing Delaware Park Online Casino, just for sports! Expect the same great customer service from Delaware Park, including email support and phone support. Delaware Park offers Visa, Mastercard, ACH and Neteller as payment options. Harrington Raceway has a trusted customer service department offering relatively prompt email and phone services. They accept Visa, Mastercard, and ACH transfers. Like the others, we’re not seeing any 24/7 live chat support yet, but the team seems to be relatively responsive to emails, even at late hours. You can find plenty of options when it comes to Delaware Race Tracks. The NASCAR tracks at Dover are splendid, but if you can’t get to the raceway, that doesn’t mean you need to miss out on all the engine-revving, rubber-screeching action! Dover International Speedway would be crazy to miss out on the business they’d get from opening their sports betting to include NASCAR races, as every other legal online sportsbook in the country has done. We expect Dover International Speedway and its sister track at the Downs to offer online sportsbook apps so fans can keep astride of all the action. In the competitive, burgeoning world of Delaware sportsbook apps, and in the country at large, if an operator neglects to offer a beloved sport, they’ll hear about it from their players. We expect that you’ll have no problems trying to bet on NASCAR at Dover Downs or any of the other Delaware race tracks locations mentioned. We expect their sportsbook apps to include NASCAR and F1 racing, as well as thoroughbred and harness racing for fans of a few hundred less horsepower. Simply put, there are a multitude of trusted Delaware race tracks and casinos that will be releasing Delaware Sportsbook apps in the near future– operators would be silly not to get in on this explosive new US market. Now, you’ll have all the information you need to get online and start betting on your favorite sports in Delaware as soon as you’re able!